America’s Charities recently released Snapshot 2015 – The New Corporate DNA: Where Employee Engagement and Social Impact Converge. The third in a series, this year’s report includes insights, trends and best practices for workplace philanthropy and employee engagement. Findings were collected from an online survey of executives from 120 companies in the third quarter of 2015. Their responses represent more than 600,000 employees and 17 unique industry groups, geographically dispersed, and equally distributed between large companies (more than 5,000 employees) and small to midsize companies (5,000 and fewer employees). Snapshot 2015 makes the case: It’s not enough to say giving of time, money and skills is important. Leaders must be involved in employee engagement, authentically, and it must be embedded in a company’s DNA—part of its culture, values and actions. Companies want more evidence their charity resources help with strategic social responsibility goals. 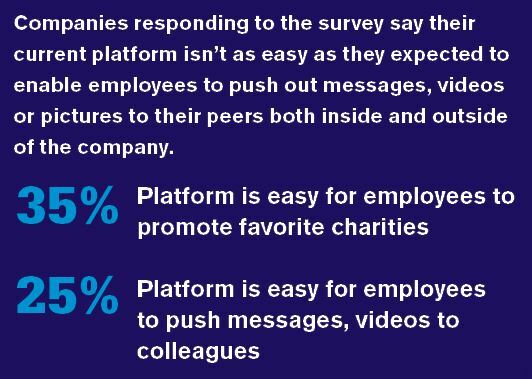 Employees want more transparency, accountability and proof their donations are helping make a social impact. Millennials care about social impact—and companies are expected to do more to engage their employees and support causes they care about. Their CSR efforts create a valuable competitive business edge for recruiting and retaining talent. And 92% of Snapshot 2015 respondents (from small to large companies) believe customers expect them to be good corporate citizens too. So companies need to step up with more sophisticated and responsive engagement programs. When it comes to workplace giving, for many years, a payroll deduction program was the most common way to engage employees. Those programs have grown steadily. But now they’re only part of the picture. 85% of large companies offer year-round giving, and 70% have matching campaigns. 44% of small to midsize companies offer year-round giving, and 28% have matching campaigns. Year-round volunteering has emerged as a core part of employee engagement programs. Something that was just coming into the picture in Snapshot 2013, volunteer opportunities are now offered by 92% of large companies and 60% of small to midsize ones. For all the best practices in workplace giving and to read the latest findings, download the complete Snapshot 2015. And take a look at other reports in the Snapshot series. Contact us if you’re ready to improve your company giving program or looking for ways to better engage your employees. P.S. To keep up on the latest philanthropy insights, subscribe to our Blog and follow JustGive on LinkedIn. Business for Social Responsibility and GlobeScan recently released the 7th annual State of Sustainable Business Report. The survey revealed what major companies think about sustainability and corporate social responsibility (CSR). It collected data from 440 professionals at multinational companies, in a wide range of industries, with varying levels of commitment to sustainability. We know, from a 2014 Nielson report, that 55% of global online consumers are willing to pay more for products and services from companies committed to positive social and environmental impact. And there’s no shortage of research, ratings and rankings related to sustainable business. The current $250 million sustainability information market now includes some 150 rating systems covering more than 50,000 companies. So how can sustainability and CSR “warriors” find what’s most useful (in practice) and help raise their company’s commitment to something so important? As a nonprofit organization, you’re often stretched thin, scrimping and saving to cover costs and get the help you need with a variety of tasks. For your technology projects, The Community Corps (TCC) is a great, no-cost resource to bridge the digital divide. Our partner, The Community Corps connects nonprofits to experienced tech volunteers from top companies who can assist with technical training, resources and programming—throughout the country. Since its start, TCC has matched thousands of volunteers to nonprofits, with a large focus on the advancement of STEM (science, technology, engineering, and mathematics) education and fostering the development of women in technology. Kelli Antonucci, TCC’s Nonprofit Outreach Manager, tells us this is a great time for nonprofits to get tech help. “We’ve had a huge surge in volunteer interest and are barely keeping up with getting enough projects for them,” Antonucci said. The type of tech help TCC volunteers can provide ranges from training on software platforms like Excel and Salesforce to updating websites to adding enhancements like a calendar or a blog. TCC volunteers can also advise nonprofits considering a large software or hardware purchase. When you post a project on TCC, there are 10 major categories for assistance: technology planning and assessments, STEM career development, website, Microsoft Office, infrastructure, STEM events, Social Media, STEM program design, The Cloud, and data. Best of all, tech help from The Community Corps is free. To get started, just create your TCC account and post your request or project to attract volunteers. P.S. Don’t miss out on other valuable resources you can use. 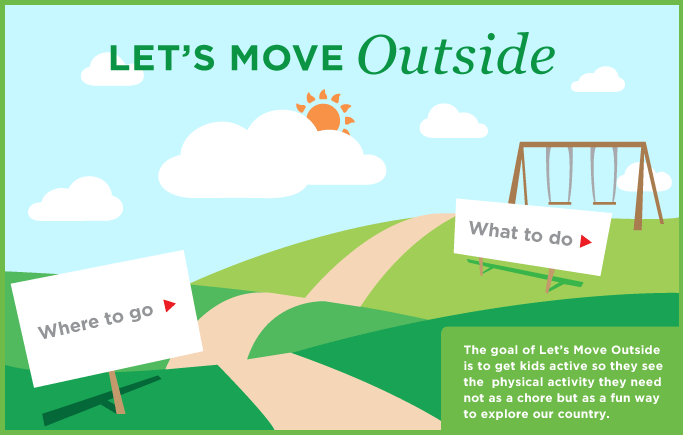 Subscribe to our blog for more tips and tools! If you’ve spent time on the JustGive website, you know that you can search a database of nearly 2 million 501(c)(3) nonprofit organizations, and you’ve probably wondered about our source for the information. Where does JustGive get all that charity data from? We use two sources for the charity data on JustGive: the Internal Revenue Service (IRS) Exempt Organizations database and GuideStar®, the premier organization that offers up-to-date information on hundreds of thousands of nonprofits. The IRS database is available online, and contains the information for registered 501(c)(3) charitable organizations (or “exempt organizations” as they refer to them). On the IRS website, you can look up a single charity’s information and status, or download the entire database of exempt organizations. The IRS also maintains data on charities that have had their exempt status revoked, and in many cases, reinstated. We also partner with GuideStar, which puts a more user-friendly face on the IRS data, and gathers information about impact, transparency, governance, and more. When you search for a charity on JustGive, you’ll often see pages of search results. The results list charities from the GuideStar database that match your search term(s). Click on the charity’s hyper-linked name and a window will pop up with even more vital information, including the organization’s mission, financial data, programs and more. All this data can help you find out more about an organization you may want to support. If you’re a nonprofit, it’s a best practice to claim your organization on the GuideStar Exchange and be sure your information is up-to-date. This ensures that donors see the latest information about your organization when they are searching on JustGive, and that you receive checks from us in a timely manner. For more FAQs, visit our Help Center. If you’re hesitating to make community service part of business, a few minutes with Alison Roessler will change your mind. She’ll inspire you to make it your culture and get you fired up about the benefits of giving back in a heartbeat. I talked with Roessler the other day about what making an impact means to her and why it’s important. As CEO and Founder of the Oakland, California fitness and wellness center Truve, established in 2014, she can’t imagine doing business any other way. How did you start giving back? Did you build community service into the business when you created Truve? Yes. 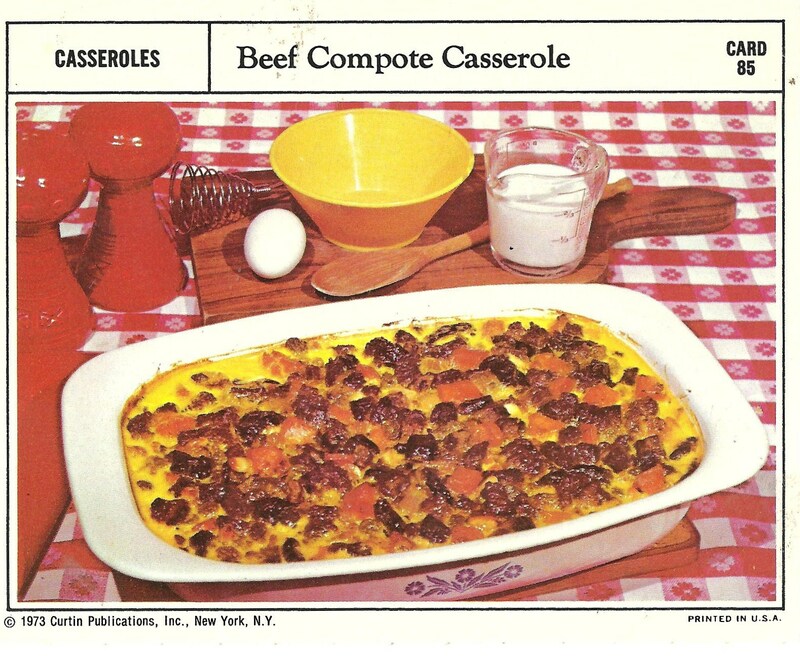 It was a driving factor for me in creating the business. I was doing some pro bono work – helping people with diabetes and more – at other fitness places and they were charging me to use the facility. I thought that was crazy! 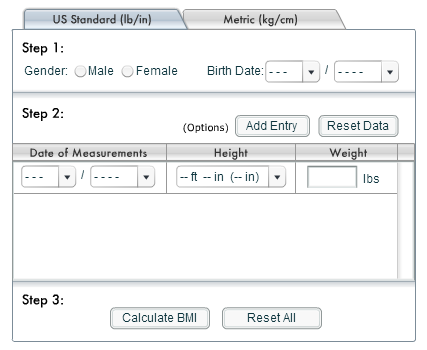 I wanted to make fitness accessible to everyone. How are you making volunteering and giving back part of the business? We have a big event every month to give back. Anyone who is part of the Truve family – practitioners, members, and anyone who drops in to attend free classes – can suggest something that’s important to them and we’ll organize a class, run, fundraising drive or event to raise money. 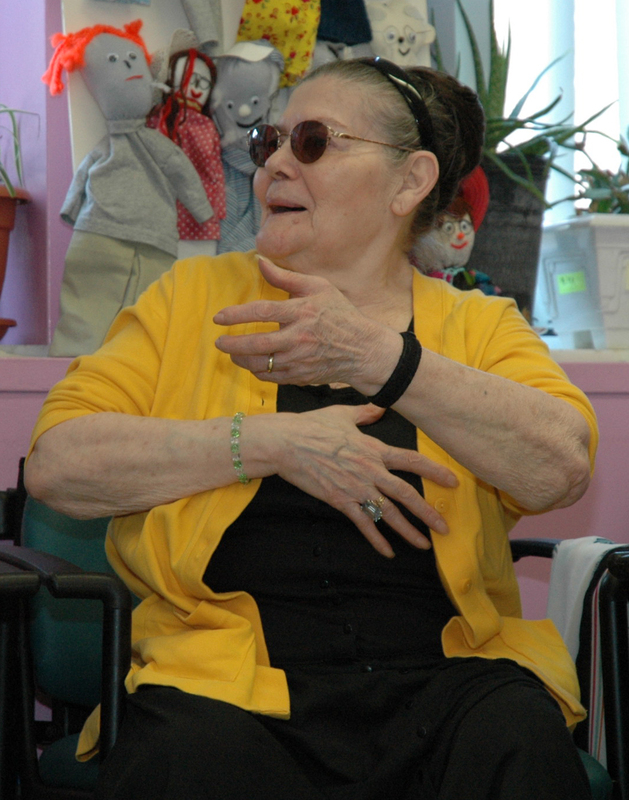 Last month, we taught classes at the Lion’s Center for the Blind, just 2 blocks up the street. 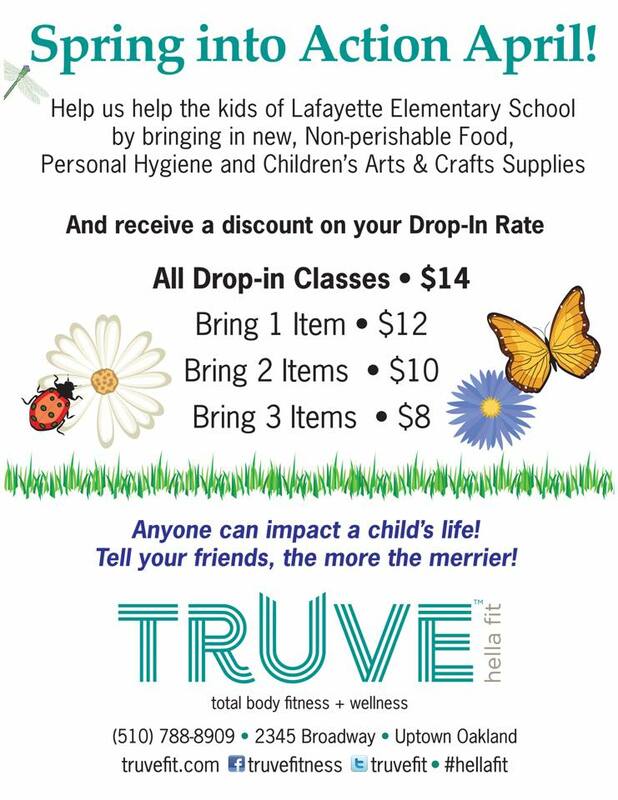 This month, we’re giving a drop-in class discount for anyone who brings in a non-perishable food item or arts and crafts supplies for the Lafayette Elementary School. I made it a requirement for practitioners who are part of the Truve family to do 30 minutes to an hour every week, or 2 to 4 hours of pro bono service a month. Many of us teach free classes (we have 8 to 10 a week), including acupuncture and Reiki. Our Esthetician helps cancer patients and is involved in feral cat rescue. A Spin teacher reads to kids. What would you say to business owners who think it costs too much to make volunteering a part of their work? The benefits so outweigh the costs. It’s totally worth it; it comes back to you tenfold. The return my practitioners get from it and the change they’re making in the world. . . they’re happier afterwards, so glad they did it and ready to do it again! Giving back to the community brings the whole culture of the business together. It should be a part of every business model. What’s the best way to get over any hesitations about it being too hard to get started? 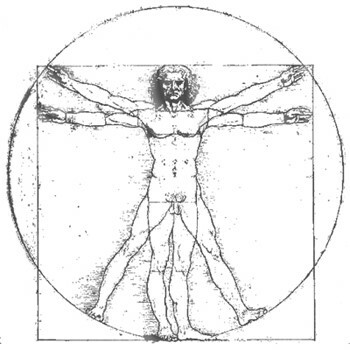 Truve’s name is inspired by Leonardo DaVinci’s Vitruvian Man, an illustration that shows a person’s wingspan is the same as his height, with the human body in perfect balance. 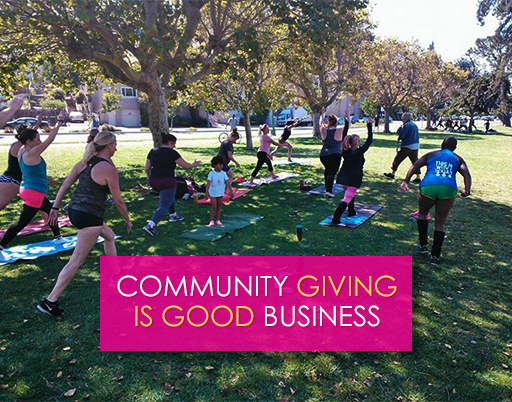 The fitness classes and services Truve provides, and its community service, actually puts all of life in perfect balance. If you’d like to help the Costa Rica nonprofit, The Stars of Tomorrow, donations are happily accepted. Ready to incorporate giving back into your business? Just contact us. To answer your frequently asked questions, we’re including them in our nonprofit blog. Subscribe to the blog and use it as a place to check for answers. Each month, we’ll feature a question we get asked on a regular basis. You can use your own button design and add a customized JustGive link. Can I see some examples of organizations using JustGive’s Donate Now buttons? Visit this nonprofit’s website and click through for the full experience. Just log in or sign up today to start using the buttons or links and raise more money for your work. For more nonprofit FAQs, visit our Help Center.